Today for my Swatch Saturday post I thought I would switch it up a bit. 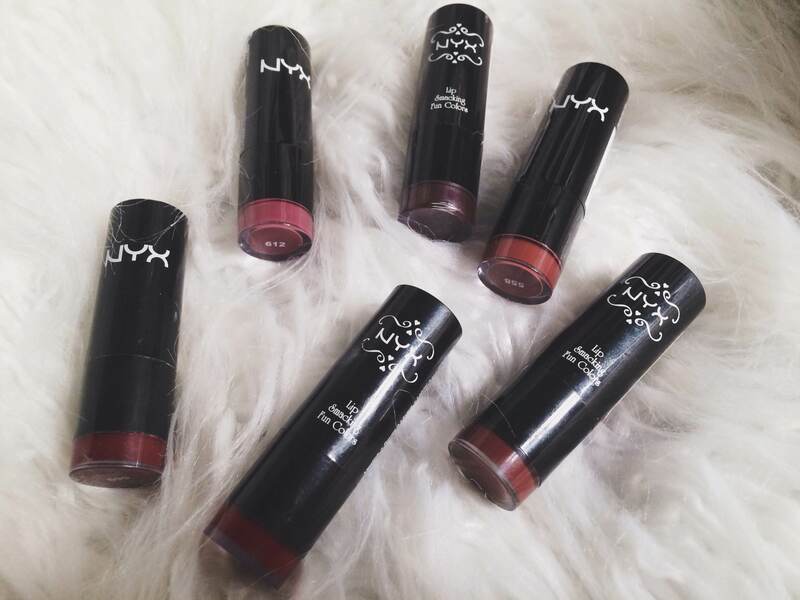 Today I’m going to be showing swatches of some of my all time favorite Nyx round lipsticks. The Nyx lippies that come in the black and round tubes are the ones that retail for $4 on average, and are not the matte ones. These have a glossier finish, and are some of the only glossy lipsticks I will wear. But at $4 each (and they are BOGO 50% off often at Ulta) it’s okay to be intimidated and try them all. I’ve tried a lot out over the years. These are just a few in my collection, but they are the ones I reach for very often, some I reach for over my high end lipsticks for special occasions. As you can see, there are two types of packaging. I have some in the older packaging and some in the newer packaging. Out of all of these, “Chaos” is my most used. Hands down. If you wear red lipsticks a lot, you need this lipstick in your collection. Trust me. It’s the only lipstick I have ever finished a tube of and needed to rebuy. I actually have a back up of this little baby. Some of these colors, like “Penelope” and “Pluto,” aren’t very opaque, but I pair them with lip liners anyway so it doesn’t make a huge difference. Those are the only two that I have ever experienced patchiness with opacity though. They pair beautifully with dark lip liners of all sorts. “LaLa” is a bit newer in my collection, but man this color is super beautiful. I’ve been on a plum kick lately because I feel it flatters my complexion and eye color (green) and I just want all the plum toned things. I really enjoy these lipsticks though, and they’ve transcended several years of trying out way too many lipsticks. The packaging is very cute considering the price, in my opinion. Black and sleek…perfect. 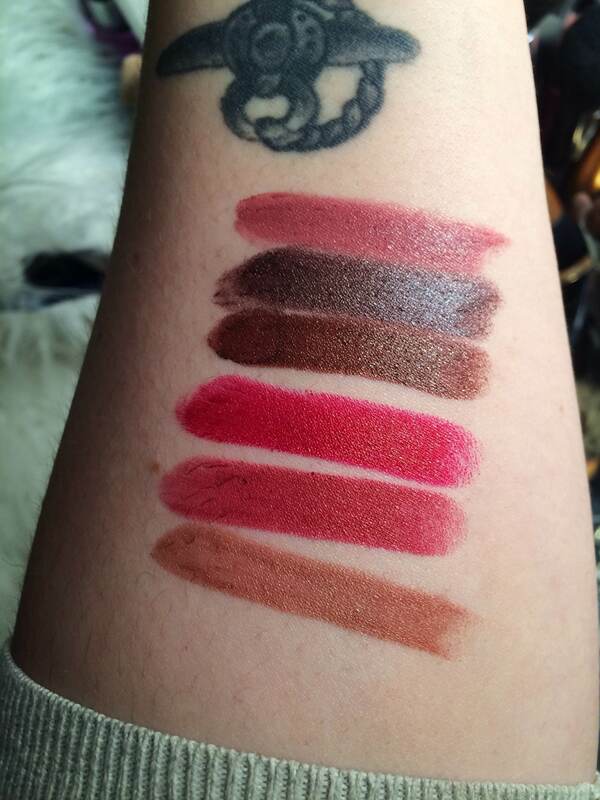 I also like that the names of these lipsticks are on the top, and there’s a small color swatch on the bottom. It makes storing them very versatile and easy.